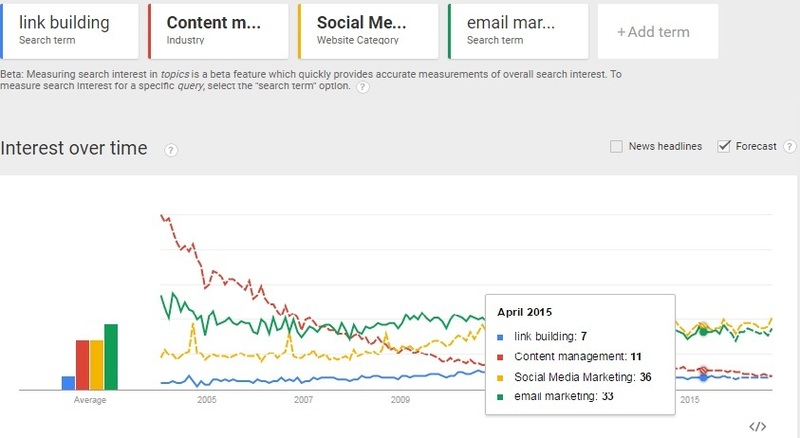 Is link building dead? Most of SEO Agencies, SEO Professionals and Internet Marketers are still wondering on the existence of link building as a component of Google Ranking Algorithm! The Good news links building is not dead, instead it is an important part of Google Ranking Algorithm. But it can be dangerous if you don’t know how to earn links. Earned links will increase your website traffic while others lead to a penalty. Search engines are now giving more weight age to the quality of links rather than quantity of links. Below image describes how search engines assign a value to links? According to one of the recent Search Marketing Expo Advance Conference, your page or website authority, links and anchor texts are all depends on the quality of inbound links, not quantity! Common scenario! 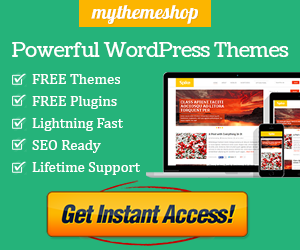 You have invested time, money and efforts in your site, but traffic is scarce. And your website is not even showing up for your business name and targeted keywords! 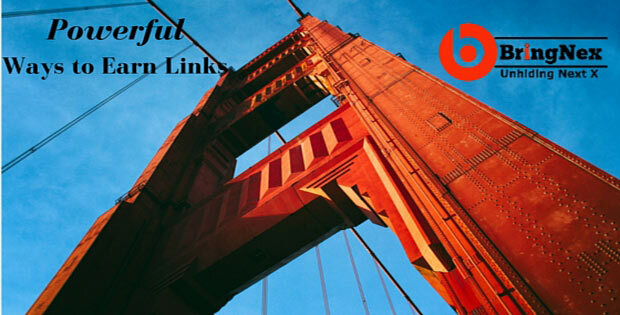 Now if you are wondering; what are the best ways to earn links for off page link building? In this post, I will walk you through 12 powerful strategies to earn links and mentions to increase traffic and sales. Days are gone when link building was only copied past job. Now it has become one of the most important and challenging SEO skill. Nowadays to make your link building project a success you should have expert knowledge in many skills including research, content creation, sales, psychology, and marketing. But don’t you worry it’s not required to learn these skills as if now to implement these link earning techniques. But take is as team task to make other people consistently link to your site. Before actually starting with these link earning techniques, let’s first understand what Google trends predicts for link building, content marketing, email marketing and social media marketing. It’s called flywheel marketing idea, where you will be creating great content in your niche, you share and build engagement by amplifying it on social media platforms and in your social channels, it will help you attract visitors, social media sharing let you earn links from some of your followers who visit your site and your social following will keep on growing. Local business listings and citations are important to the success of your local business. Local citations from well-established and indexed portals / business listing sites helps search engines confirm that businesses are not on World Wide Web only, rather it is available locally. To rank the above types of listings, you’ll rely less on the link building side of things, and more on local NAP citations, local reviews, and My Business signals. One of the most important ranking factors is relevancy, whether you are finding prospects for link building or evaluating your existing backlinks it’s very critical to evaluate on the basis of DA, PA, and topical relevancy. A tool like majestic help you find the topical relevant category of websites. If you are having quality backlinks from sites having the same topical category as yours or the category belongs to your niche then you have probably more chances to rank higher! As per recent trends, marketers are investing more on content marketing to make sure they get high ROI. 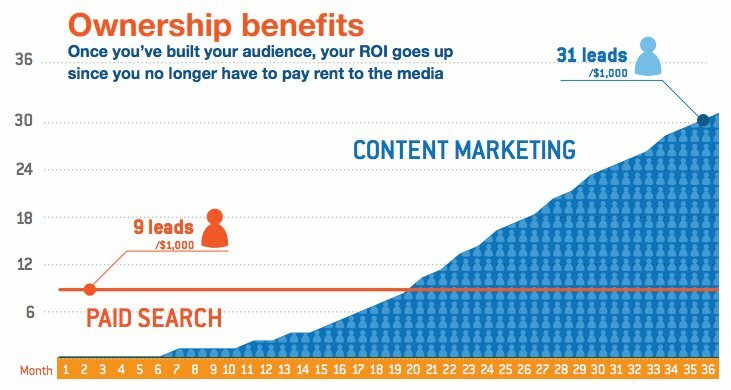 And it’s true you can get highest ROI if you are using content marketing effectively as your link earning tool. It includes researching on viral content ideas and topics, creating high-quality and actionable content, and reaching out to industrial top influencers for amplification are the main task to be accomplished in this. Content marketing let you generate more leads than paid searches! But you can use content marketing tools to ease your task and maximize your results in comparatively low efforts. 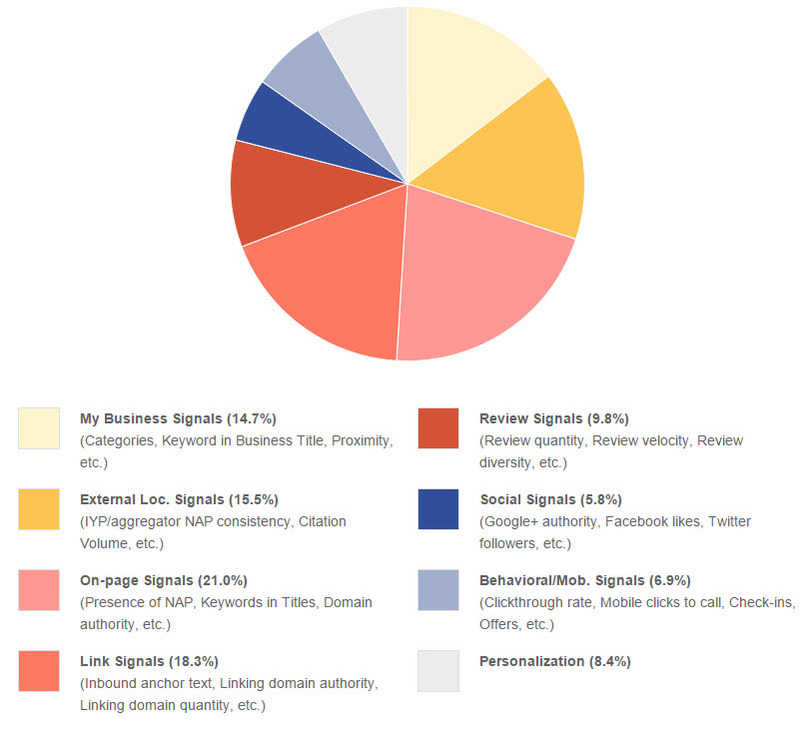 Get a list of top blogging and content marketing tools. Google also accepts editorial backlinks from the high-quality website and it helps increase traffic plus search rankings. Guest posting is an excellent way of creating links it helps improve referral traffic, search ranking, and brand awareness. Guest posting easy steps includes find authoritative websites in your niche, check for the link prospect there, find a category where you want to publish your content, create content as per the audience available on your target website, outreach to them with tempting guest blogging email reach out and once published don’t forget to amplify the content in your social channels also. Again profiles are good for building high-quality backlinks to your website but it should not be used for link-building only. One can optimize and build links from social media profiles, and professionals profile. Which may show up in listing if you are a real contributor and your profiles are referred often by others. This will earn you high ranked backlink to your website. Things which you should need to take care while building links. Make sure to have links from diverse websites, quality of backlinks should be high, and use branded or semantically relevant anchor texts. Do follow profile creation sites list. As a link building tactic, broken link building is an effective, white-hat, scalable, content-focused link building strategy that builds links through finding broken links, recreating that broken content, and helping webmasters replace broken links with your corrected link. Source: Moz; Check how you can use Screaming Frog to find broken links. If you are custom or client somewhere then it’s a great opportunity for you to get links. Simply approach owners, companies or product / tools providers you have been using and give out them testimonials in exchange of links. Sounds easy! Yeah, it is because service providers, tools, software or product providing companies are always looking for quality testimonials to showcase. Try it today. There is a great demand of social media managers not because they will be only taking care of their social profiles on various social media platforms because they should be excellent in building relationships with industries top influencers. Relationship building is new link building rather link earning techniques you should be practicing it now only get a backlink for you but also influence a wide range of masses linked by influencers helping build authority, and increasing branding. The best tool recommended is Followerwonk by Moz and Topsy. Tracking Branded mentions, or people referring to your business by name, are generally one of the easiest and profitable method of securing legitimate backlinks. The majority of the time, the author or site owner is more than happy to turn your business mentions into live links. But check and evaluate your website on back-links criteria and than reach out for links. Can use link prospecting tools for finding brand mentions and sites Fresh Web Explorer, Google Alerts and mention.com comes with lot more options to build and engage your brand. 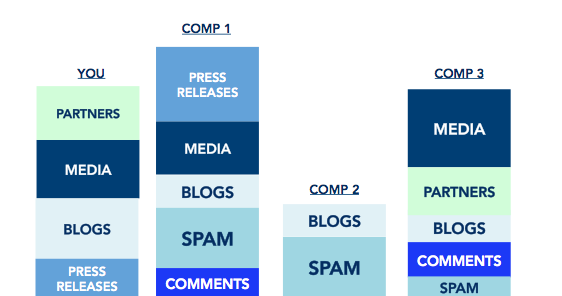 Competitor analysis is an integral step in any link building campaign. It’s important for SEO agencies, professionals and marketers to first understand your competitor’s link building strategy and methods. It’s not a good strategy to copy your competitor’s link building practices. I’ll recommend understanding why they are doing certain things and what the outcome is. Than device more enhanced strategy as per your unique USP’s and grow. Why it’s important because if you will be copying them then you will be doing the same mistakes they are doing. Ending up in a penalty. Leverage Infographics to Generate Links and Social Signals. It is one of the best ways to generate visibility for industries that struggles to attract links and social shares. Combining social amplification, blogging, and media outreach with well-designed and attractive infographics can get way more link opportunities compared to guest blogging. Hope you have enjoyed the blog post and have learned something, don’t forget to share your thoughts in the comment section below.